Traditional approaches in automotive design have led to a rise in complexity and confusion for consumers. A user-centered, iterative, and collaborative design process with a mindset of simplicity and reduction is required as connected car ecosystems of the future evolve. Modern consumers expect the same type of connectivity provided on their mobile devices in their vehicles and a seamless flow between devices. 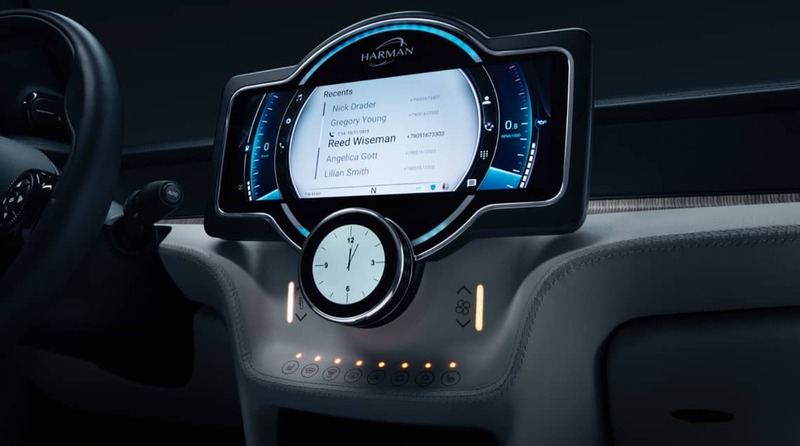 HARMAN’s Entry Digital Cockpit Platform as showcased in the Mini Cooper Concept Vehicle from CES 2018 is a realization of this approach by leveraging Huemen’s capabilities in storytelling and the disciplines of interaction, visual and industrial design. Our goal was to provide a premium customer experience within the entry vehicle segment. The design sought to reduce the weight of the cockpit components by consolidating the instrument cluster and in-vehicle infotainment into a single screen solution. The display distinguishes easily between critical functions versus infotainment, thereby adhering to the highest safety standards and also an open dashboard design that reduces weight by eliminating mass for the A-surface. The solution also features seamless phone integration such that projection modes (i.e. Apple CarPlay, Android Auto) and voice-control feel embedded in the overall experience. The design showcases simplicity through thoughtful reduction and minimization of visual clutter. Glanceable and contextual content simplify the user’s tasks and interactions and reduce cognitive load. Intelligent personalization integration lets the drivers use their voice to make conference calls, set routes, and accomplish numerous tasks safely with integrated, high-contrast ratio QLED Auto and OLED screens. Each screen is carefully designed to give the right information at the right time to the driver contextually. 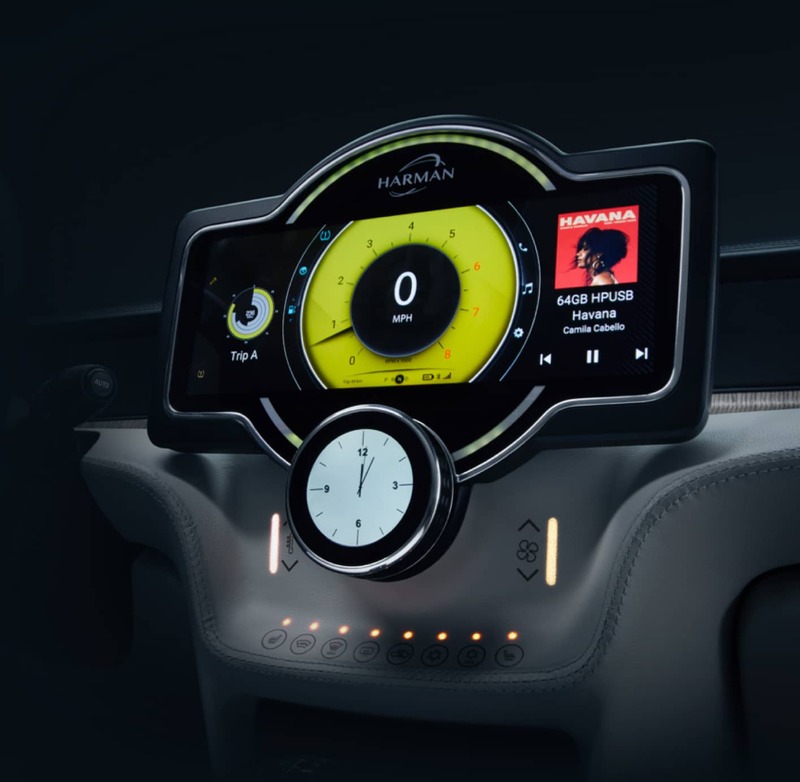 The Digital Cockpit experience leads the way in User Experience by integrating the instrument cluster and infotainment features into a unified holistic environment.